As Quazmin prepares for an attack on the Macross city, Minmay approached Hikaru in a sad, depressed state. Her conversation with Hikaru is overheard by Misa, making her upset. Max and Milia go to intercept Quazmin’s forces as they attack, but can they stop him from accomplishing his mission? Will Hikaru arrive in time to help? Santa handing out balloons, a “Merrie Christmas” sign, huge snowflakes, Christmas lights, lots of commercialization of Christmas and a detonation device disguised as Santa Claus. Oh, and few other surprises (read below). A time to celebrate what’s important, namely, life and love. Dramatically, the episode concludes with a look at the terror of war, as many die from the attack. Surprisingly, citizens gather at a church on Christmas Eve and sing “Silent Night,” as they celebrate the holiday despite the carnage. If I hadn’t know it was coming (I watched the episode after reading Ghostlighning’s post, “Christmas Anime Heartbreak“), I would’ve been shocked at the forerightness in which the series tackles the true meaning of Christmas, complete with several minutes of “Silent Night” in the background and imagery of Christ. I’m only minimally familiar with the series, so the emotional impact of some key scenes are probably lost on me, but the beauty and melancholy on the episode are not. If you get a chance, watch this episode as an appreciation of classic anime, and one that demonstrates the true meaning of Christmas. Hulu is airing this episode and the entire series. 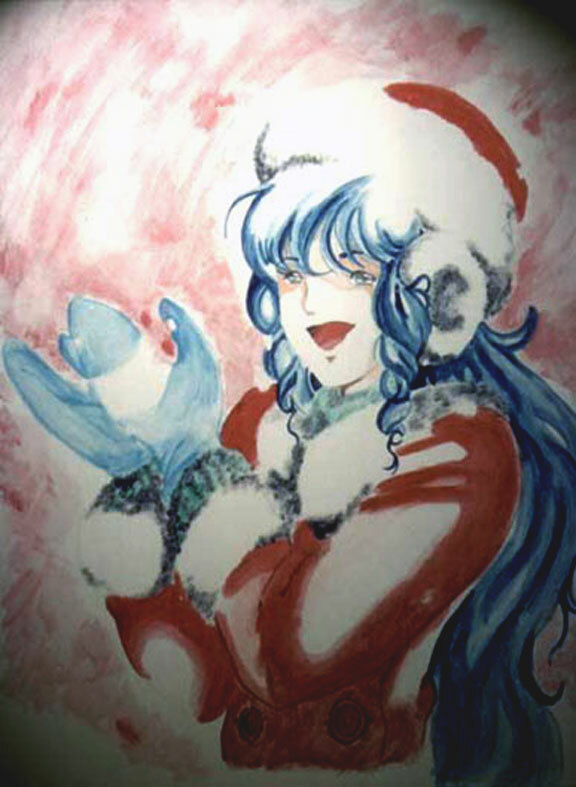 Cosplay of Lynn Minmay in a Santa hat? Very cute! It’s getting colder and colder. You’d be best advised to wear a sweater (maybe a home-knit one from a loved one?). Alcohol’s also known to warm-up a body – why not go to a Christmas party?